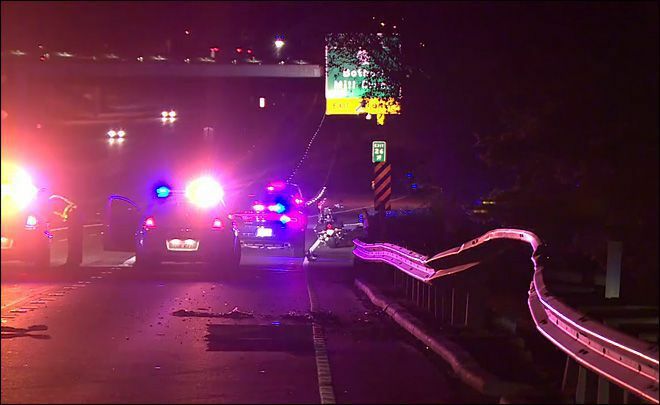 Police say a fatal motorcycle accident that occurred on Interstate 405 in Bothell Sunday evening was likely the result of the at-fault driver falling asleep behind the wheel. According to The Seattle Times, 50-year-old David Ames of Everett was riding his motorcycle on northbound I-405 near Bothell just after 10:30 p.m. Sunday when the driver of the vehicle directly in front of him fell asleep at the wheel. The drowsy driver’s vehicle started drifting over to the left shoulder of the freeway and the man over-corrected, causing him to cross back across all lanes before crashing into the guardrail on the right shoulder. Police are still investigating the scene, but they believe that the brakes on Ames’s motorcycle locked, causing him to lose control and crash. Officials told The Seattle Times that the driver was found in the roadway separate from his motorcycle, and that he had suffered severe head injuries as a result of the crash. Emergency medic crews transported the motorcyclist from the scene to Harborview Medical Center in Seattle for treatment. He was pronounced dead shortly after he arrived at the hospital, officials said. The driver of the vehicle wasn’t hurt in the crash, and police are waiting until the conclusion of their investigation to determine whether or not he will face any charges for causing the crash. Sunday’s collision was the second fatal motorcycle accident in the area in the past week; on Friday, a motorcyclist was killed in a crash after another driver turned around at an SR-16 on-ramp and struck the motorcyclist head-on. Hiring an attorney to investigate any possible recourse is often in the best interests of accident victims and their loved ones, especially when it comes to dealing with the insurance companies involved. Davis Law Group offers a free consultation to discuss legal options and best-case scenarios, which means there is no additional obligation for simply meeting with our attorneys.